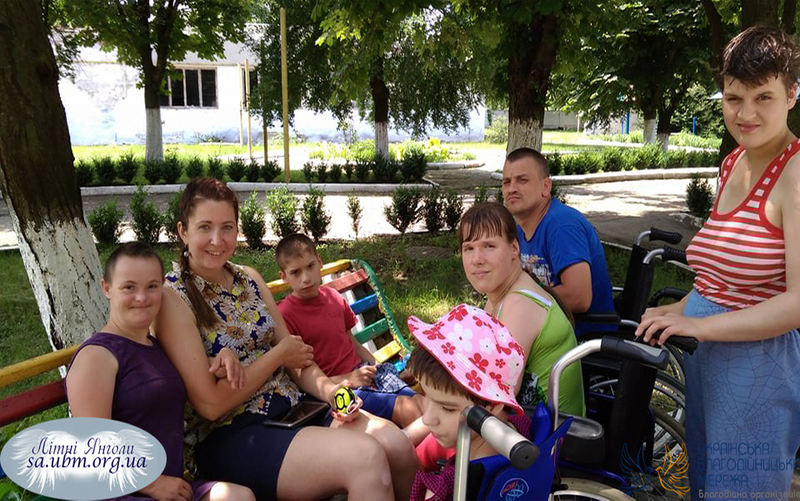 Zaluchany Orphanage is home for more than one hundred “special” habitants: little and older children, and also young handicapped orphans. They need permanent care, but critical lack of orphanage staff does not provide an opportunity to give enough attention to all children. Ivano-Frankivsk Regional Council during last few years could not provide orphans with the required number of workers to comply with state regulations. Charity program “Summer Angels” is focused on solving that problem and lack of nurses for children. 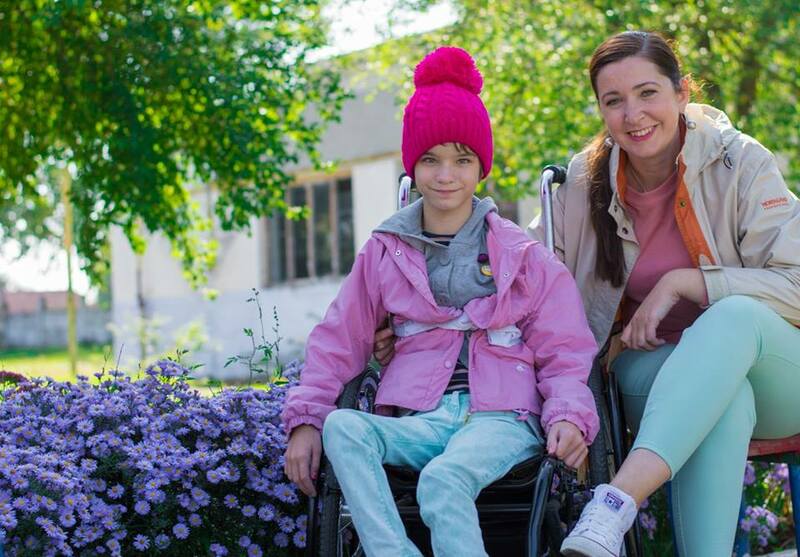 Our goal is to organize work and pay for it at least for four “additional” nurses to children – “Summer Angels”, hired at the expense of donations from benefactors that will be working in the orphanage on Fridays, Saturdays and Sundays. - Autumn walks and kind conversations with "Summer Angels"
- The end of walks is not a cause of being sad! 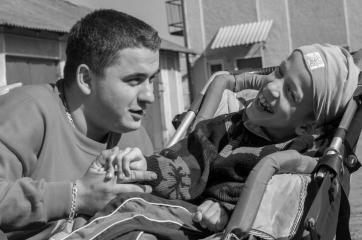 - How did orphans of Zaluchany Orphanage spent the week with "Summer Angels"
All news you can find HERE. Volunteers from Toronto: Carlos Perez and Galyna Kokhan, Ewa and Karol Jedrzejewscy, Janina and Jurek Trojanowscy, Luba and Eskender Bekmambetov, Julita and Steve Mahun, Jurek and Maria Antoniv, V.J and Kumarini, Carol Ireland and Ted Evans, Svitlana and Ihor Derenkiv, Evelyn and Craig, Ashley and Milad, Emily and Enriqu helped to establish that program. First donation in the amount of $2,846 was collected on Charity dance master classes of salsa, held by Carlos Perez. 2. Make donation on our account No. 5169 3324 0543 6935 (PrivatBank card). Please denote “Donation for the program “Summer Angels” in comments (assignment) of the payment. - to find with terminal our charity organization as beneficiary by ID No. 36498142. To do this you need to choose menu option “Other payments”, then option “…search by name or details…”, after finding us enter a code No. 36498142 in the field “ОКПО” (National Classifier of Enterprises and Organizations) (a search result “Ukrainian Charity Network, CO” shall be displayed). You need to denote: “Donation for the program “Summer Angels” in the assignment of payment, which you have to change by yourself. - assignment of the payment: “Donation for program “Summer Angels”. IBAN UA033366770000026008057001323 (for donations in EURO).